What does that mean? They are not co -defendants? I hope we can get an explanation Caddi. I did a quick search, but I would like to know how it applies the this case. One of multiple defendants jointly sued in the same litigation or charged with the same crime. Also termed joint defendant. Would it mean they aren't charged with the same crime, yet they are both involved? Still mulling this over. The judge said Zach Adams & Jason Autry are "technically not co defendents". "Technically?" Sort of but not? In what sense yes, and what sense no? One of two or more defendants charged with the same crime or sued in the same claim. Also called joint defendant. At a previous hearing, Decatur County Judge Charles Creed McGinley said he will not take up anything that has to do with Adams' case without him being present in court. At the last hearing, Jennifer Lynn Thompson, Adam's defense attorney, asked for her client to have paper and pencil in jail and even asked that Adams be transferred to a facility that allows such resources, so that he can write down his thoughts as she prepares his defense. That request was not taken up during Wednesday's hearing. The hearing served as a type of status hearing to see where the prosecution and defense are at when it comes to sharing evidence collected during the investigation with one another. "I've been fairly liberal in this order because I'm aware that there's a lot of discovery to take place. This is a case of unusual complexity because of the length of time that the investigation has gone on," said Judge McGinley. Like at the last hearing, the judge emphasized that he wants to keep this case moving forward. He also added that he does not want to see Adams be treated any differently than other inmates at Chester County Jail. "What I don't want, is simply because of the nature of this charge [coercion of a witness] for him to be treated differently than any other person at that holding facility [Chester County Jail]," added McGinley. Zachary Adams and Jason Autry, who are longtime friends, are both charged with especially aggravated kidnapping and first-degree felony murder. Adams faces an additional charge of coercion of a witness. He pleaded not guilty to the charges against him. According to attorney John Herbison, of Clarksville, he will represent Autry along with attorney Fletcher Long, also of Clarksville, and attorney Mike Flannigan, of Nashville. Herbison told reporters in court Tuesday that he expected the hearing to be straightforward, with the main proceeding being that the attorneys will present themselves to Judge Charles Creed McGinley as Autry's counsel of record. He said that once the court recognizes the attorneys as Autry's counsel, they will proceed to other matters involving Autry's defense. "We have not been permitted personal visitation," Herbison said. "We have been able to talk with (Austry) through a glass window with a guard present." Herbison said that as of now, Autry and Zach Adams have been charged separately, and Autry's defense team hopes to keep it this way. "Consolidation would require a motion that the affected defendants would have an opportunity to respond to," he said. "We would resist consolidation." Although, he said, this does not mean that useful information would not be shared between the defense attorneys representing Adams and Autry. Herbison said Autry is "bewildered" as to how he came to be charged. Herbison said he and Autry's other defense attorneys plan to seek the prosecution's discovery materials against Autry as soon as possible. During the appearance, the judge explained if Zachary Adams, 29, is offered a plea deal he must accept it before December, or go to trial or plead guilty to all charges. Adams also had his attorney file a motion that will allow him standard jail visitation, access to pencil and paper, postage and telephone privileges. Adams' attorney Jennifer Thompson argued during his last court appearance that she was having difficulty building his defense case because Adams is in segregation without access to pencil, paper or consistent phone access. The judge told state prosecutors Adams should be treated like any other defendant in the Chester County jail. Also, Thompson has asked the state to turn over all the evidence they have against Adams. The discovery motion is part of the typical process of defending a client. The state has fought a portion of a motion asking them to unseal parts of the investigation because the prosecutors said the investigation is ongoing. Judge Creed McGinley entered a scheduling order, which will lays out dates and deadlines for the case against Adams to proceed. It will be the same scheduling order he entered in the case against Adams' co-defendant, Jason Autry. Both men are charged with first degree murder and especially aggravated kidnapping in Bobo's April 2011 disappearance. Other issue addressed in court: All of the evidence. Adams' attorney said she sent two 4GB hard drives to TBI, still hasn't received back. And, Tamikosmom, thank you for posting the helpful articles! DECATURVILLE, Tenn. -- Zach Adams, one of the men accused of kidnapping and killing nursing student Holly Bobo, appeared in court on Wednesday afternoon. Judge Creed McGinley said during the status hearing he did not want Adams, 28, to be treated any differently in the Chester County Jail than other inmates. This comes after Adams' attorney asks that Adams be taken out of solitary confinement. Chester County Sheriff Blair Weaver, who is in charge of Adams' housing at the jail, says Adams will stay in solitary confinement unless ordered otherwise. Capp. (Bolded by me) Perhaps you're right and they will not be tried together. Thank you for weighing in on this. Defendant Zach Adams arrives to court in Decatur County. 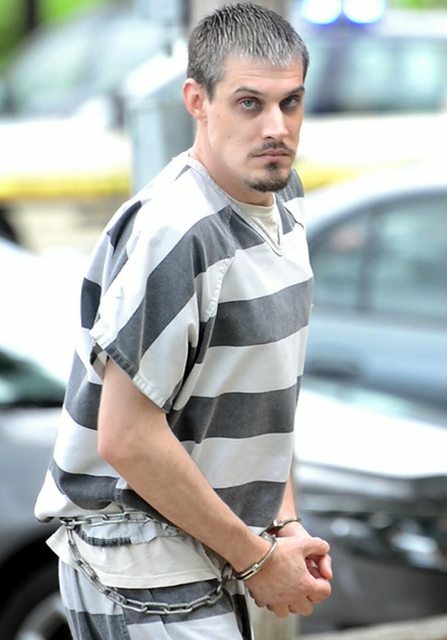 Adams is accused of kidnapping and murder of Holly Bobo. Page created in 8.333 seconds with 20 queries.